Previous threads - One, Two, Three, Four, Five, Six, Seven, Eight, Nine, Ten, Eleven, Twelve, Thirteen. Every post in this thread should rhyme. My rhyme tends to be bad. Yay new thread. 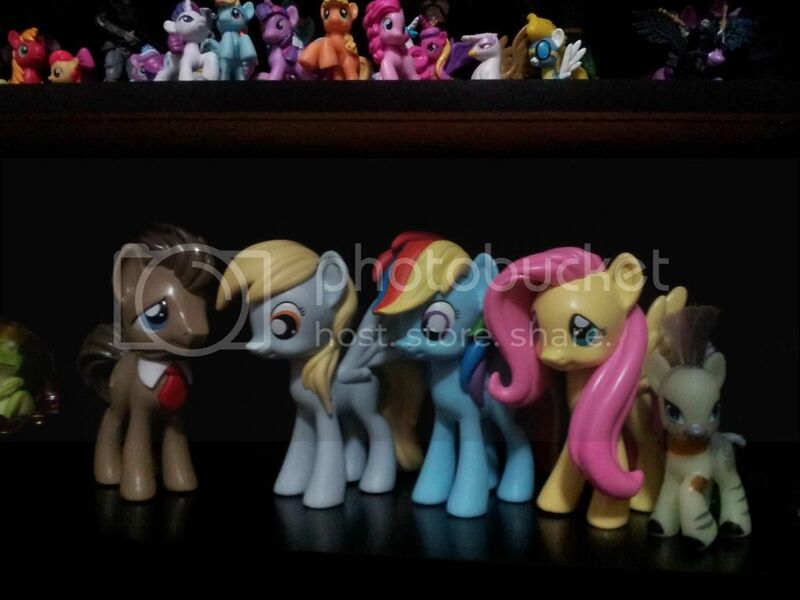 Also my Fluttershy and Dr. Whooves arrived yesterday! They are awesome, there were a few moldissues with the manes, but nothing detectable from a distance, still worth it in my opinion. 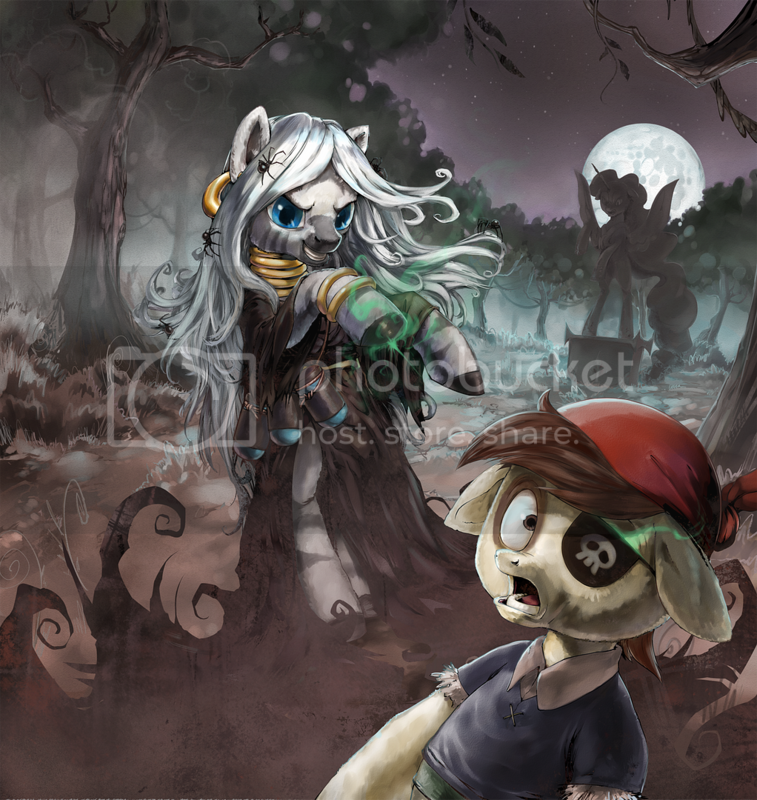 Edit: Here is a pic, Zecora Glow-in-the-Dark for thread Relevance included. And we're back, and mad love for Zecora. Thanks for the new thread, Stryke. I call next one. Although not sure if anyone would remember me doing that. That's the Doctor and Ditzy with Sarah Jane Smith and the Brigadier. I plan on doing a Hasbroverse side-story to this one. I'm also thinking nof trying my hand at a tumblr with my many, many many toys. Ah, new thread. Thanks Stryke! From the old thread, it sounds like the Las vegas con debacle is even worse than first thought. From what I've been seeing, the con "organizers" severaly overestimated the attendance and thus the number of rooms to be reserved in the con block. When they didn't get nearly as many people as they thought, they ended up not being able to pay the hotel for the rooms, resulting in con goers getting slammed with bills for the full rate, and in the cases of people where were supposedly getting rooms paid for by the con, getting kicked out. Very bad stuff. There are also rumors that the con runners um, did a runner and left everyone in the lurch, but I don't know if that's true. Anyway, as is the way of our people there are already auctions and stuff going up to raise money to help pay for the unexpected stuff people got slammed with. Her speech takes so long to get right, but in the end, it is such delight. 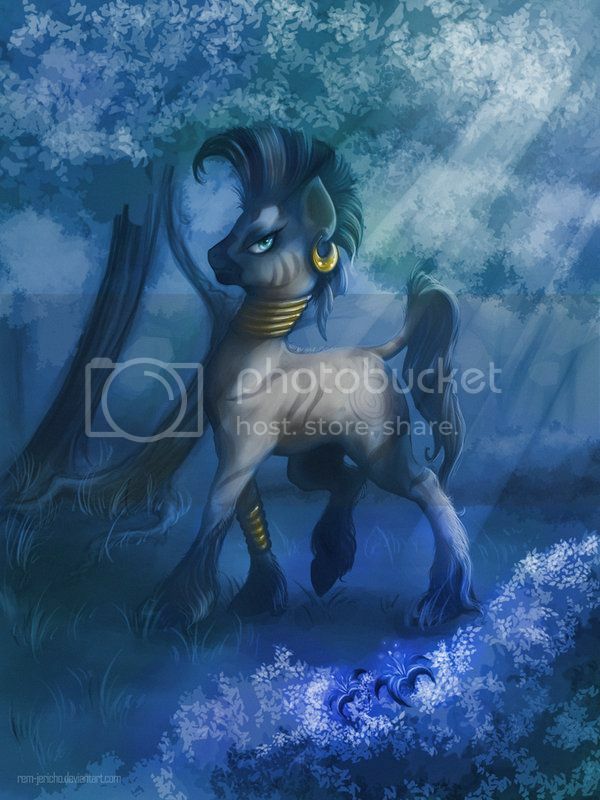 This is not only one of my favorite Zecora pictures, but one of my favorite pieces of fanart period. It adds just enough fine detail to make her seem "real," but kept her eyes big enough and her body proportional enough to still feel cartoony. You'd think that would make an animal seem less real, but MLP characters are defined mostly by their large eyes and small bodies, and I/we have become so accustomed to that that changing it too much looks freakish and unnatural, especially when placed next to extremely photo-realistic scenery. This is just the right balance.